A telephoto of Ellendalstinden taken from Lakselvdalen. 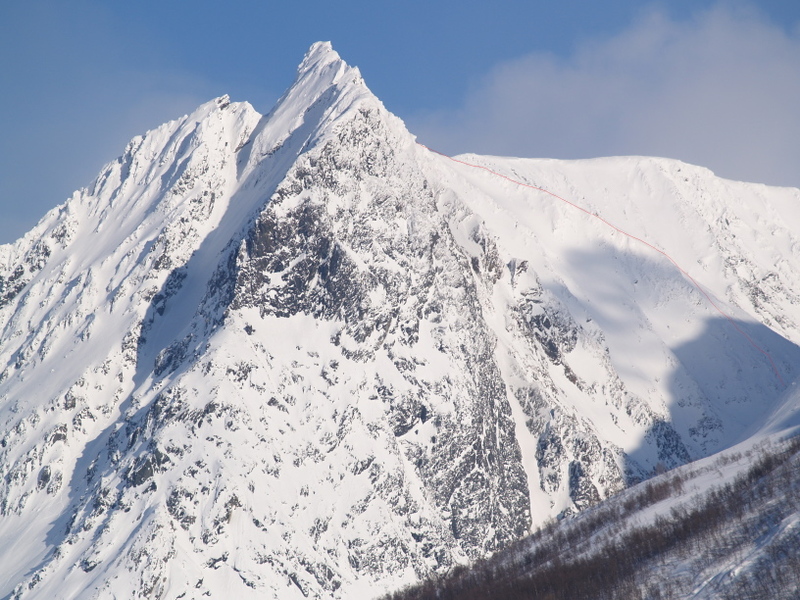 A brief route description of the normal route: Start from Djupen in Lakselvdalen and walk approx. 3 km into Ellendalen. Continue into the nameless valley between the South Face of Ellendalstinden and the North face of Guhkesgáisi (Langdalstindene). Keep to the East of Point 1018 and continue up easy slopes to the col between Ellendalstinden and Imagáisi. From the col follow the East ridge on moderately steep snow up to the foresummit. 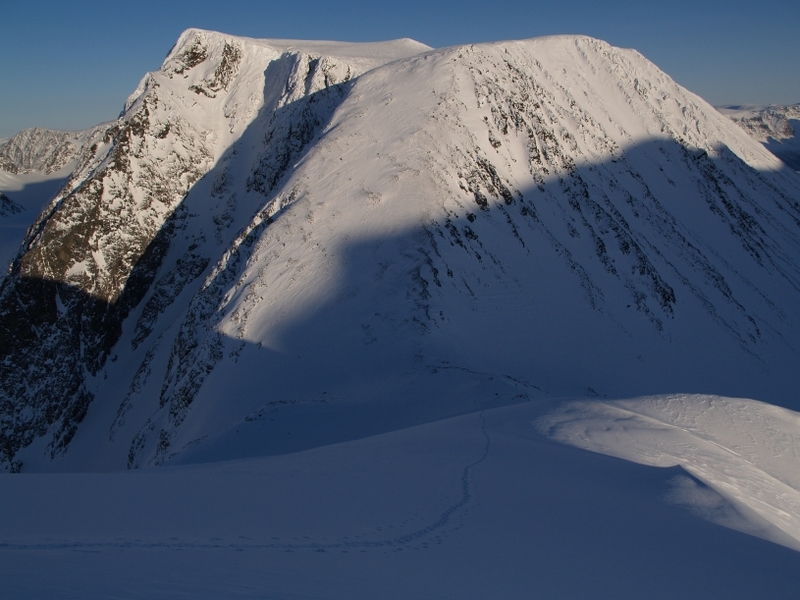 The last 175 m along the East ridge to the main summit is very exposed and will require a rope, a few cams and a couple of snow anchors. 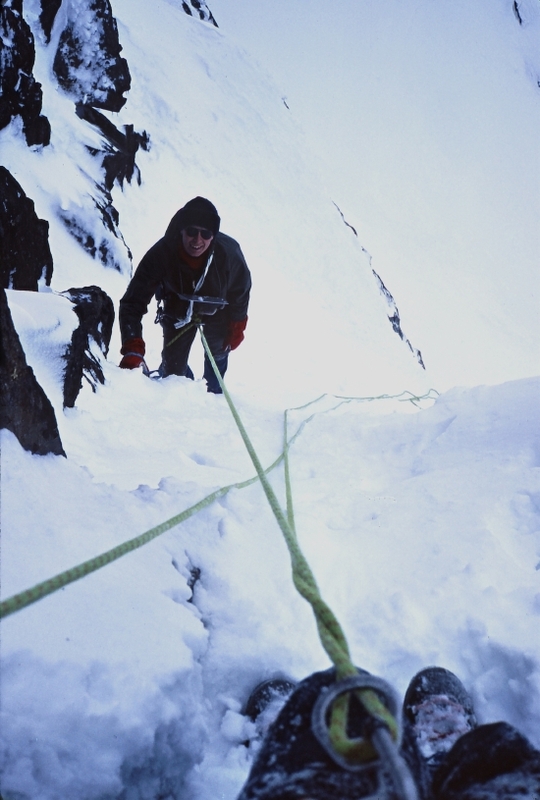 Climbed by Bjørn Arntzen and Geir Jenssen, 19. April 1984. 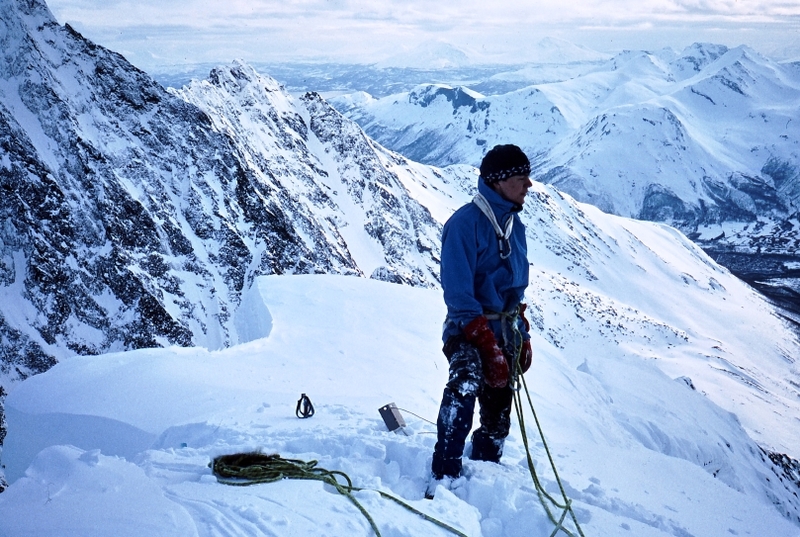 "In the early winter of 1973, the Mountain Leaders of the Royal Marines and one of their Instructors' Courses, were given clearance to visit the Lyngen Alps in N Norway on completion of their Arctic Training. From the col follow the East ridge on moderately steep snow up to the foresummit. Looking towards the col and Imagáisi. 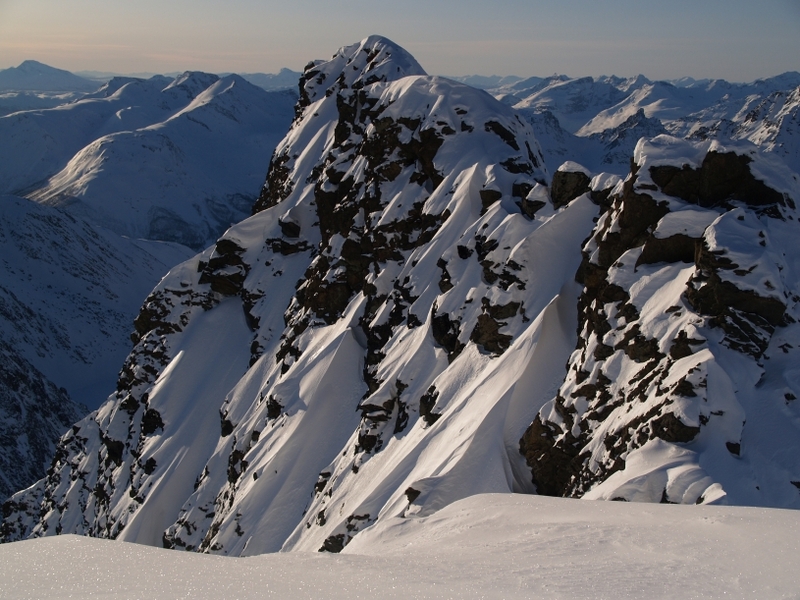 A view towards the main summit of Ellendalstinden from the foresummit. 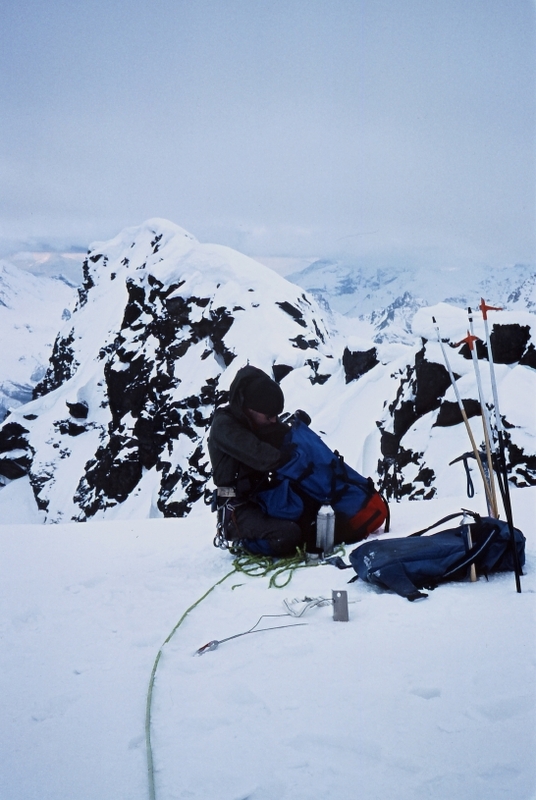 Bjørn Arntzen at the foresummit of Ellendalstinden in 1984. 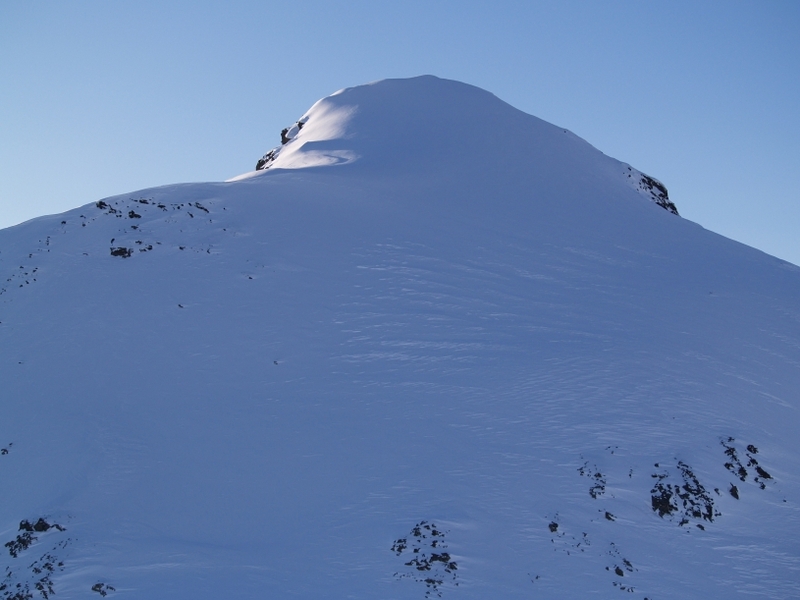 The Main summit is still 150 m away. 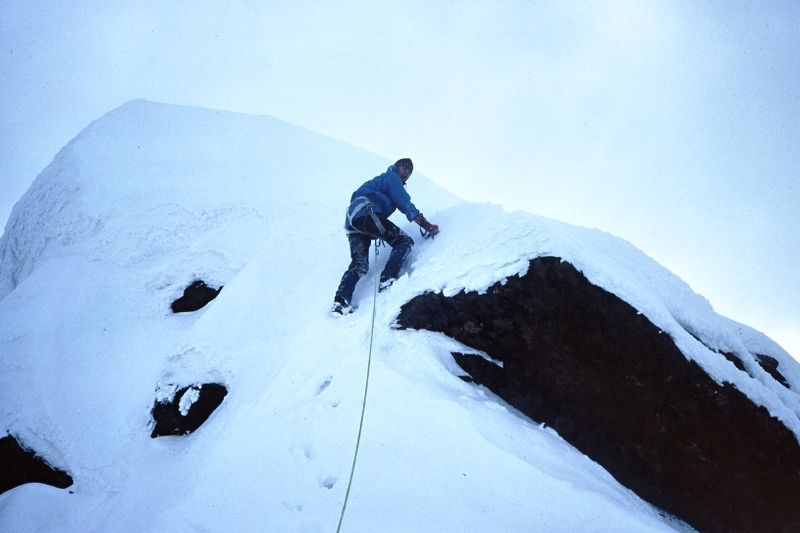 Geir Jenssen reaches the main summit of Ellendalstinden. At the summit of Ellendalstinden. 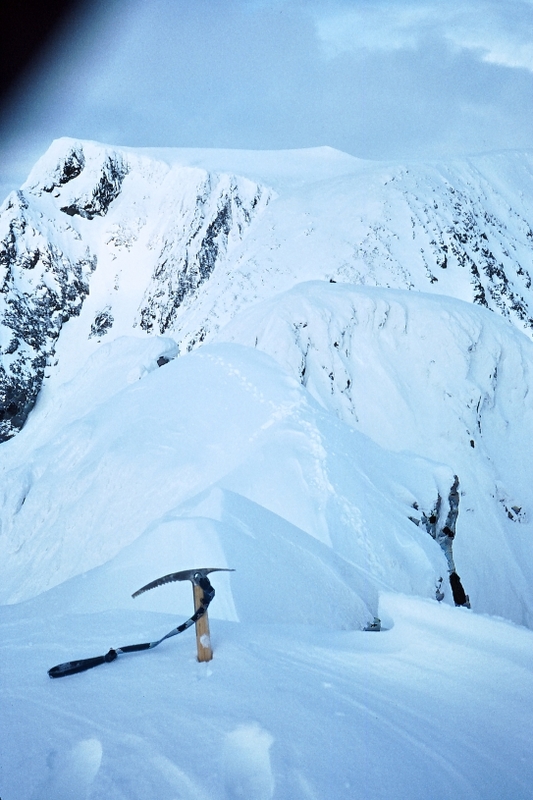 A view from the summit towards the foresummit (where we left our skis) and the summit of Imagáisi (1500).